TOMORROW — Tuesday, November 6 — is Election Day! Please VOTE! On Friday, the Minneapolis City Council and Mayor Frey opened the Council meeting by reading the names of the people killed in a racially motivated shooting in Kentucky, and in an anti-Semitic shooting at the Tree of Life synagogue in Pittsburgh, Pennsylvania. As shaken as I am, and as I know many of you are by the alarming events of the last couple of weeks, I'm also full of gratitude to be part of a community full of people who really show up for each other in difficult times. 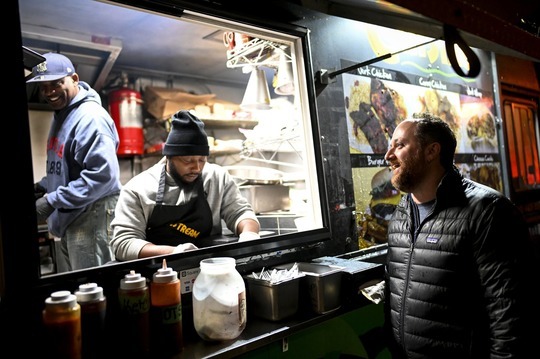 As an elected representative, as a resident of the city, and as a Jew, I have had many occasions to feel proud of the compassion, the clarity of values, and the generosity on display in Minneapolis. I’ve heard from many of you looking for ways to be a comfort to people who are feeling fear and grief. I’ve also heard from many you wanting to do something about the hateful rhetoric and dog-whistle politics that are empowering white supremacists around the country, and about the easy access these murderers have to assault weapons. If there are ways that our office can provide comfort and support in this moment of grief and anxiety, please do not hesitate to let us know. We will continue to work toward our vision of a city that is inclusive, supportive, and safe for everyone, and would welcome your input and collaboration in our work. In the meantime, all of the work of the city continues. This week, we passed multiple groundbreaking ordinance changes on housing, aimed at stabilizing existing affordable housing, incentivizing more affordable housing, and preventing needless evictions. This marks the beginning of an exciting slate of tenants' rights and affordable housing work making its way through the council in the coming months. This month will also include public hearings before the City Council on the Minneapolis 2040 Comprehensive Plan and the 2019 Budget. More on both of those below. Downtown Early Vote Center, 217 S. Third St., in downtown Minneapolis. East Early Vote Center in the University of Minnesota Field House Lobby, 1800 University Ave SE. North Early Vote Center at the Minneapolis Urban League, 2100 Plymouth Ave. N.
South Early Vote Center at Regents Assembly Church, 810 W. 31st St.
Absentee Voting is Easy: any voter can vote early with an absentee ballot; no reason is required. If you plan to vote absentee by mail, please allow enough time to complete the process, which can take longer than seven days. Absentee ballot applications are available at vote.minneapolismn.gov/voters/absentee and may be submitted anytime throughout the year. Polls are open from 7:00 A.M. - 8:00 P.M. If you are in line at 8:00 P.M., you MUST be allowed to vote. Click here to find your polling location. Voters can register at the polls in person and vote on Election Day. You must provide one of the forms of identification required by Minnesota law. Sample Ballot: state law allows voters to bring materials into the polls to help complete your ballot — and the sample ballot is the single, best tool available for this purpose. Your sample ballot is customized to your specific ward and precinct, and you can get yours at vote.minneapolismn.gov/voters/BALLOT. THANK YOU for being a voter! On Monday, October, 29, the Minneapolis Planning Commission took four hours of public comments from over 110 people on the City's draft Comprehensive Plan, Minneapolis 2040. The Planning Commission then adopted a set of amendments and voted, 8-1, to forward the plan to the City Council for our consideration. The City Council will have our own public hearing on the 14th, but first, join me on Wednesday for a community forum in Ward 3! I will be joined by Heather Worthington, Director of Long Range Planning in the Department of Community Planning and Economic Development. Together, we will discuss how the draft Comprehensive Plan has changed based on over 10,000 comments received during the 90-day public comment period earlier this year, and take further questions and comments. THIS WEDNESDAY, November 7 from 6:00 - 8:00 P.M. Please RSVP for the event here! To see the full draft plan and what has changed in it, go to http://minneapolis2040.com. Additional public comments on this revised draft can be submitted to the Planning Commission and City Council online. CPED staff will not be making any further revisions to the plan; any further edits will be made by the Planning Commission or City Council as formal amendments. The Budget Committee of the City Council has concluded hearing departmental presentations on Mayor Jacob Frey's proposed 2019 budget, and held our first public hearing on Thursday, November 1st. THANK YOU to everyone who attended to share your comments on the proposed 2019 budget. Comments can also be submitted online on the City’s website, or you can send me your comments and ideas on the Mayor's proposed 2019 budget directly at Steve.Fletcher@minneapolismn.gov or to my office at 612-673-2203. Visit the City’s budget website to learn more. 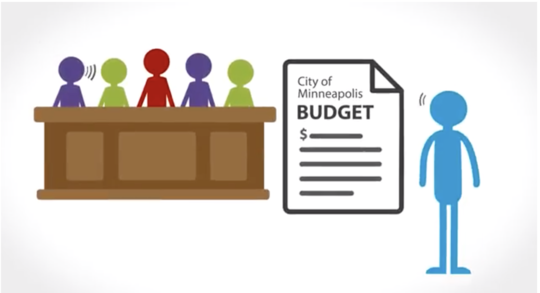 You can also watch budget hearings on Minneapolis City Council TV. Tune to SD channel 14 or HD channel 799 on Comcast or SD channel 8001 or HD channel 8501 on CenturyLink. You can also watch archived meetings on the City of Minneapolis YouTube channel. Last month, the City Council approved a 1.25-acre site at 2109 Cedar Ave. in south Minneapolis as a temporary site for a Navigation Center that will provide a safe and service-rich environment for single adults living at the Franklin/Hiawatha homeless encampment who face challenges connecting to traditional shelter housing. Since then, the Council has had continued discussions about this project as it moves forward: we approved $1.5 million in funding towards the construction of this shelter, we voted to suspend procurement rules to better enable us to meet our goal of opening the Navigation Center by early December, and we voted to create a City-led work group for this project. I am one of four City Council Members serving on that work group. Until the center opens, there are no plans to close the encampment. Ongoing outreach efforts at the encampment continue to focus primarily on public health and safety, especially as the weather gets colder, in addition to assessments to help people secure emergency shelter and supportive housing. At this point all but one of the families with children at the encampment have been placed in transitional housing; the navigation center is intended to serve single adults. Click here for more information on how you can support people at the Franklin/Hiawatha Encampment. The Star Tribune wrote an in-depth story on some of the work we've been doing as a city around downtown nightlife. We know from the downtown crime stats - violent crime down over 20% and property crime down by nearly 50% year-to-date - that things have been improving, and that's been the result of a lot of collaborative work by Mayor Jacob Frey's office, the City Council, the Warehouse District Business Association, the Downtown Improvement District, the Minneapolis Police Department, city staff in Business Licensing, Public Health and Public Works, Minneapolis Mad Dads, St. Stephen's Human Services, YouthLink MN, and more. Hoping this is the first of many positive stories about the Warehouse District. We'll keep working to make downtown nightlife better and better. You should come enjoy it! 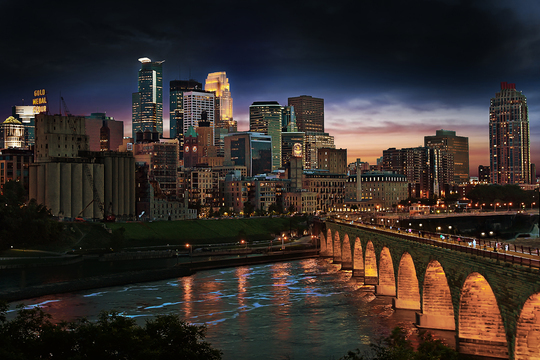 Bloomberg Philanthropies named Minneapolis among its American Cities Climate Challenge winners for resources and technical support to help achieve ambitious climate goals. Bloomberg will provide winners with robust technical assistance and a support package valued at $2.5 million per city. The resources include a philanthropy-funded team member to facilitate the development and passage of high impact policies, training for senior leadership to assist with implementation of their proposed climate plans, and public engagement support. Minneapolis plans to improve transit reliability and user experience; encourage new mobility options such as bikeshare, electric bikeshare, more electric vehicle charging, and electric vehicle education and incentives; and implement a comprehensive citywide solar strategy including a focus on onsite and community solar garden subscriptions for low-income residents. The Bloomberg American Cities Climate Challenge builds on the America’s Pledge initiative, which aims to keep the U.S. in the Paris Agreement. In August, the Public Utilities Commission voted unanimously to order Xcel Energy to terminate their grant contract with Crown Hydro. This week, Xcel announced that not only are they terminating that grant contract, but they are also terminating their power purchase agreement with Crown Hydro as well. This is great news, and a big win for everyone in our community -- but especially those who have spent years building an alternative vision for our central riverfront -- one that celebrates the Falls as an accessible community benefit for all. It is up to all of us – residents, community organizations, and elected officials alike – to make sure that it remains accessible and vibrant for generations to come. I'll keep working with Mayor Jacob Frey, the Minneapolis Riverfront Partnership, Friends of the Lock and Dam, and more to protect and improve a riverfront we can all enjoy. Read more here from Twin Cities Business. The second phase of a project that will eventually replace all planks on the West River Parkway Wood Plank Trail began in late October. Construction is expected to take two to three weeks to complete. During construction, the east (river) side of West River Parkway Trail will be closed between Portland Avenue and 11th Avenue South. The parkway will remain open. Pedestrians will use a detour to the sidewalk across the parkway. Bicyclists may choose to use the parkway or travel south one block and use the bike lane on Second Street. Motorists traveling in this area must use caution and share the road with bicycle traffic. Last year approximately 100 linear feet of planks were replaced. This work is Phase II, which will replace another 85 linear feet. The new planks are made from Douglas Fir, replacing the old White Oak planks. Minneapolis Park and Recreation Board maintenance and planning staff are evaluating the new plank design before replacing the entire plank trail, which will occur as funding becomes available. The Minnesota cold weather rule begins for the season Oct. 15. The rule protects residential customers who have difficulty paying their natural gas bills from having their natural gas service disconnected between Oct. 15 and April 15. Residential customers must contact CenterPoint Energy to set up a payment plan. Customers who anticipate having trouble paying their entire natural gas bill, have received a notice of proposed disconnection, or need gas service reconnected are all urged to call CenterPoint Energy to establish a payment plan. A payment plan will include what is owed and the amount to be billed. The plan will also take into consideration a customer’s financial situation and any other special circumstances. In addition to calling CenterPoint Energy to discuss and establish a payment plan, company representatives are available to refer customers to social service agencies who may have energy assistance funds. Customers can also sign up for CenterPoint Energy’s average monthly billing plan, which spreads natural gas costs throughout the year. Customers can sign up online through My Account at CenterPointEnergy.com/Register or by calling CenterPoint Energy. The Minnesota Department of Commerce maintains a website that provides information on energy efficiency and heating assistance programs. Customers interested in helping others pay their natural gas bills can support the Salvation Army’s HeatShare program. Visit The Salvation Army’s website to make a donation. Call CenterPoint Energy at 612-372-4680 or 1-800-729-6164 to set up a payment plan. Find more information at CenterPointEnergy.com/ReadyForWinter. Note: due to some of the public events listed above, and the Thanksgiving holiday, Council Member Fletcher's regular community office hours will be a bit irregular in November and early December. All are welcome! RSVP on Facebook or just show up. If you want to discuss a specific issue or project, email emma.youngquist@minneapolismn.gov and we'll add you to the agenda. THURSDAY, November 15 - Taraccino Coffee, 224 E. Hennepin Ave.
TUESDAY, November 27 - Spyhouse Coffee, 945 Broadway St. NE. December 12 - Purple Onion Cafe, 1301 University Ave. SE. December 19 - Maeve's Cafe, 300 13th Ave. NE. We're taking November off from Good Morning Ward 3. Join me on Wednesday, December 19th for a 2018 Year in Review! Wednesday, December 19th -- 7:30 - 9:00 A.M. The 10th Avenue Bridge and 3rd Avenue Bridge, two of the major bridges across the Mississippi River in the Central Riverfront are in need repairs and will be closing to receive those repairs in the next two years. The Stone Arch Bridge, also owned by MnDOT, is also in need of significant repairs, and those needs are under assessment this fall. I know a lot of folks across the Ward want to know more about these projects. In January, I will be holding a community meeting with State Senator Kari Dziedzic and staff from both MnDOT and Minneapolis Public Works to share information with everyone who will be impacted by these projects about how they are being coordinated. Monday, January 14 from 5:30 - 7:30 P.M.
Want to know what's happening around Ward 3? Check out these event calendars! See the upcoming City Council calendar and watch meetings on Minneapolis 14.